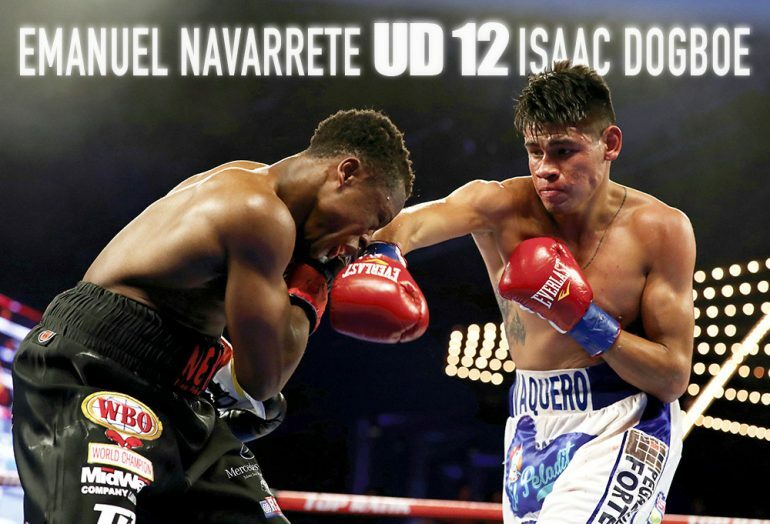 Emanuel Navarrete and Isaac Dogboe are closing in on a deal for a rematch of their junior featherweight title fight that took place in December, industry sources told The Ring. When they met last month, Navarrete (26-1, 22 knockouts) utilized his five-inch height advantage to outbox Dogboe in a shocking upset via unanimous decision. The 24-year-old Mexican wasn’t well-known before the win; he’s since ascended to the No. 3 spot in The Ring’s rankings at 122 pounds. Dogboe (20-1, 14 KOs) was a rising star before he met Navarrete. The charismatic native of Ghana displayed vast power in his last three bouts prior to the loss.